Your home is your haven, and you deserve to be happy in it, no matter how much money you make, how big your space is, or how much you know or don't know about decorating. The good news is there are tiny tweaks you can make to boost your mood in your house, and none of them cost a fortune. Some of them are scientific, so you might not even understand how or why the happy hits you. Just go with it—and the rest of these strategies for feeling your best in your nest. Okay, maybe not everywhere, because there's something to be said for serene neutrals and using a little bit of restraint when you decorate. But high energy shades like yellow and green have been shown to make people happier and more productive. These hues are tricky to get right as wall colors, but it's definitely doable. Don't discount the effect a new lemon-colored throw or emerald desk lamp could have either. Bigger isn't always better when it comes to color. Making your bed is the easiest way to start your day off on the right foot. You get something productive done right away that sets you up for success later that night. The last thing you see before hitting the hay shouldn't be a disheveled mess of sheets and pillows. You'll be happier for making it in the morning. Promise. On the whole, you're probably more smiley on sunny days as opposed to cloudy ones, right? Well, harness that happy by letting as much natural light into your home as possible. Trade out heavier drapery for sheers or go entirely without window treatments if privacy isn't an issue. Open up your windows when you can. And if you don't get a ton of sunlight in your space, fake it with an OttLite Wellness lamp, which features LED technology that's as close to the sun's output as possible. And try this trick—swap out your living room lights with pink bulbs, which make it seem like you're looking at the world through rose-colored glasses, literally. Studies suggest that surrounding yourself with greenery can boost your mood and decrease your stress levels. Can't forest bathe in your neighborhood or turn your sunroom into a greenhouse? That's okay. Buy a couple of succulents for your windowsill or a fern for your shower. And if you're a total black thumb, bring in some crystals or shells. You can't exactly nurture those guys, but even a tiny touch of nature may make you a little more zen. Pieces with round edges are much more soothing to the eye than boxy, angular shapes. Just bought a squared-off sofa? No worries. Just add some cozy, cushy throw pillows to break up the hard lines. Texture is key. Anything chunky knit will do. Treat yourself by turning your bathroom into self-care central. Get one of those across-the-tub caddies if you have the room for it or a shelf for a plant, your wine glass, and a piece of art that makes you smile. Maybe write an affirmation on your mirror in lipstick or dry erase marker if you're into that kind of thing. Smell is a very powerful tool and can often elicit memories from the depths of your mind. Think of something you have a positive association with—maybe it's the ocean, where you first learned to swim. Or a pine scent that reminds you of summer camp. Whatever it may be, start layering it around your home. Candles are an obvious choice, but consider an ultrasonic diffuser as well, especially if you have kids or pets. Pilgrim's Zoemodel ($120) works with essential oils and even has a built-in meditation light, if you really want to let the good vibes flow. File this one under "duh." But really. Ever wonder why you feel so relaxed at a hotel? Nice linens and a big fluffy robe help, though I'm inclined to think the totally clear surfaces are a big part of that "ahhhh" feeling. When your stuff isn't closing in on you, life just feels a little less overwhelming. Biggest takeaway here: "Everything in its place, and a place for everything." So toss what you don't need, and try to put things away when you're done using them. That way, you won't have a major organizing crisis on your hands at the end of the each week. When its cold outside, sometimes the only thing getting you through the day is the knowledge that you can get nice and cozy once you get home. There are some very easy tactics that can be used in order to add warmth and design to your home. Adding a few rugs to your space is one of these tactics. Having a warm, soft surface under foot adds so much character and keeps the house warmer all at the same time. Here are some great rug options available at Amanda’s House of Elegance that will be perfect in your home for the fall and winter and then can easily transition to the warmer months. These neutral beauties will add warmth and comfort to your space without adding too much of a statement. Even though the patterns are bold, the neutral colour palette keeps these rugs an easy statement for any home. These are great for spaces already in a neutral palette, space with colourful palettes and also spaces with wall to wall carpeting to achieve a layered effect. If you are unsure what rug would suit your space, bring in photos to Amanda’s House of Elegance and we would be happy to help. A colourful rug can be the perfect addition to the right space. Definitely a riskier move then a neutral choice, but the payoff can make it worth it! We love the colours in these options and think they could be a perfect purchase for your home. Sometimes a pop of colour is what is needed to really liven up a room. 5 Ways to Personalize Your Space! Does your home feel like your refuge, or is it kind of…generic? 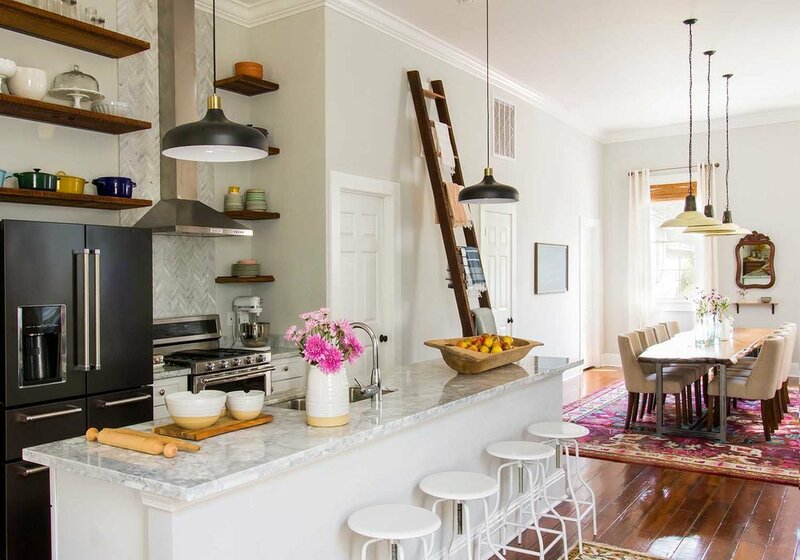 It can seem challenging, especially in a rented space, to make your place feel like your own. But you don’t need a big budget to personalize your pad. A designer at Laurel & Wolf can help channel your unique likes, quirks and personality and translate them into different pieces of your decor. These days, we all have enough personal photos to cover every inch of our walls. While you probably don’t want to turn your home into a shrine, incorporating some of your favorite shots is an easy way to personalize your space. Pick out faves from your phone’s photo album or Instagram feed, upload them to an online framer, and voilà. Instantly personal (and affordable) decor. Don’t have anything you’d deem frame-worthy? Sounds like a great excuse to book an exotic vacation or professional family photo shoot. There’s nothing like walking into a home and getting a whiff of freshly baked cookies or a bouquet of roses. A well-chosen aroma may not change the way your space looks, but it can instantly change the way it feels. What scents instantly say comfort and “home” to you? If you’re not sure, start experimenting with different fragrances via your method of choice—i.e., room sprays, essential oil diffusers or votive candles, to name a few. Think about your hobbies. Which of your most loved extracurriculars could you make a dedicated space for in your home? You could devote a corner to a cozy reading or meditation nook, create a chill zone to play or lounge with music, or bring in a bar cart to indulge your affinity for gourmet cocktails. Even just a few square feet dedicated to that thing you love will make your space feel more like you. Accent pillows, rugs, bed linens—they’re all a canvas for you and your tastes. Are you bold and vibrant? Make your home accessories reflect that with bright colors and striking patterns. Love humor? Add some pillows or prints with funny phrases or cartoons. Whatever your personality, there’s decor out there to match. Plants are another no-brainer way to add a personal touch to your space, with the bonus of adding life and warmth. Whether you swoon for soft pink peonies or succulents, it’s easy to find the perfect spot for plants in your home. Don’t have a favorite yet? Spend a Saturday morning wandering your local nursery and vow not to leave empty-handed. Come into House of Elegance located at 70 Princess Street Kingston today to see how we can help you personalize your space! Remember no space is too big or too small! 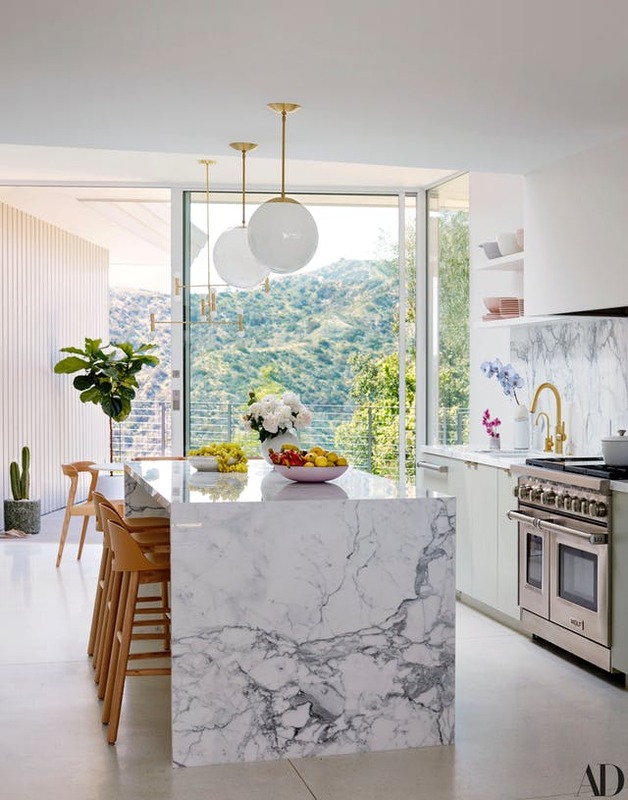 If you've been diligently following the peeks Mandy Moore has been sharing on Instagram about her freshly renovated mid-century home in Pasadena, then this is what you've been waiting for. With the over-a-year process finally complete, the This Is Us star is on the cover of the July/August issue of Architectural Digest talking about her brand new abode. Prior to today, we've gotten a few looks at finished spaces—her laundry roomand pantry in particular—but nothing quite as extensive since the massive moving day Insta story. "We fell in love with the views, the pool, the yard, basically the whole energy of the place," Moore tells AD of the Harold Zook-designed home. "We wanted to recapture the home's original spirit without delving into a slavish period restoration. We tried to imagine what Zook would have done if he were designing it today." "I've been bursting to talk about home stuff but this has been in the works for a little while and we had to keep it a secret," she writes in an Instagram caption featuring the cover. She also praises architect Emily Farnham, interior designer Sarah Sherman Samuel, and the rest of the team that worked on the project, including "an extra thanks to all of you who took an interest in this silly home renovation and followed along via my stories, etc..... can't wait for the next one!" she teases with a wink face emoji. And it might not be that far off—Moore discovered a love of the process during the extensive project. "It's hard to convey the excitement of working out every detail, from picking slabs at the stone yard to figuring out how many burners we wanted for the stove," she says. "Once you realize that you can actually build your true dream house, it's hard to go back to anything else." The 5 Trends You Must Get Your Hands On In 2018! No matter where you live, what your profession is, or how old you are, trends are something that everyone hears about on a daily basis. Everything is in constant motion and trends are no different. What is considered trendy one day, may be out the next. While we, at Amanda's House of Elegance, certainly don't recommend changing up your style every time a trend changes, getting a few new pieces every once in a while certainly won't hurt! We want you to be on trend all year round! Here are the top 5 biggest trends of 2018 and how you can be part of the trend by coming down to Amanda's House of Elegance in downtown Kingston. Gone are the days of beige, white and neutrals, and in are the days of clear and bold colours. 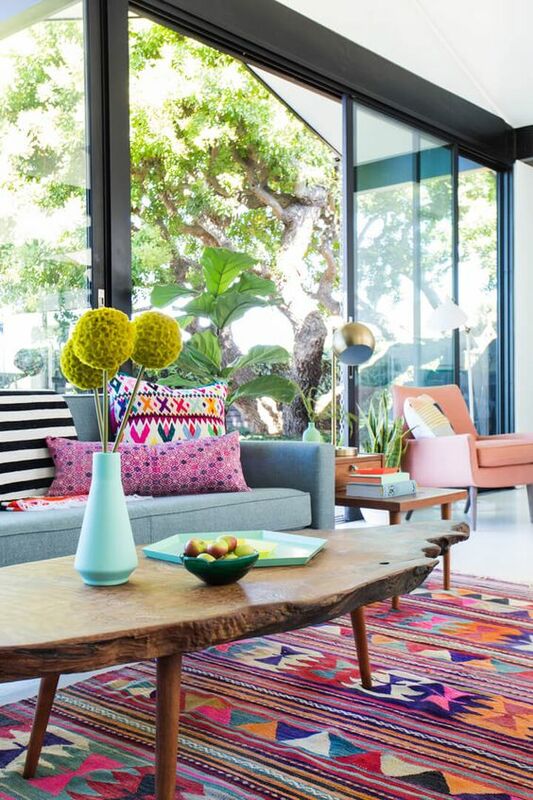 Adding a pop of bold colour through a bright rug or a couple of throw pillows is the perfect way to take on this trend. You no longer need to be afraid of colour overload, colour is officially in. At Amanda's House of Elegance this is one of our favourite trends of 2018! We are all about the mixing and matching of metals. And no, its not just silver and gold anymore, mix and match any metal and your home will be Pinterest worthy. Yes, you are correct, technically homeware has always been in style because it is a household staple. We are talking about show stopping homeware that create interest and diversity to the kitchen and table scape. Interesting shapes and colours are what create diversity in a subtle way! If you have walked into any home goods store recently you will know that pineapples and tropical prints are extremely on trend. The combination of tropics with rich woods and rustic notes are taking over for the summer. We have taken a refined stance on this trend but still love the relaxed and down to earth ambience is gives. This year is all about texture and materials. The mix of leather, linen, velvet and other textures is what is happening. This also includes textures such as glass, metal, ceramic, etc. to create an eclectic but comfortable feel to any space. The space will eventually come to be curated and as if no effort was taken in making it look amazing. We would love to see you at Amanda's House of Elegance sometime soon and would love to chat about how to add some life and elegance to your space! At Amanda's House of Elegance, we are big fans of entertaining and pulling out all of the tricks for our guests. Dinner parties are one of these occasions to dress up the table and play with different textures, colours and metals. We have assembled six different place settings that can be both dressed up or down based on the occasion. We take pride in our Canadian made and designer label pieces and you will too. The best part is that all of these pieces are available downtown Kingston at Amanda's House of Elegance. Hopefully you will find some inspiration. This beautiful shimmery and pink set would be perfect for a girls night in, or really any cozy dinner experience. The gold shimmer placemat mixed with scalloped edged plates and a gold rimmed bowl give a very whimsical and feminine touch. 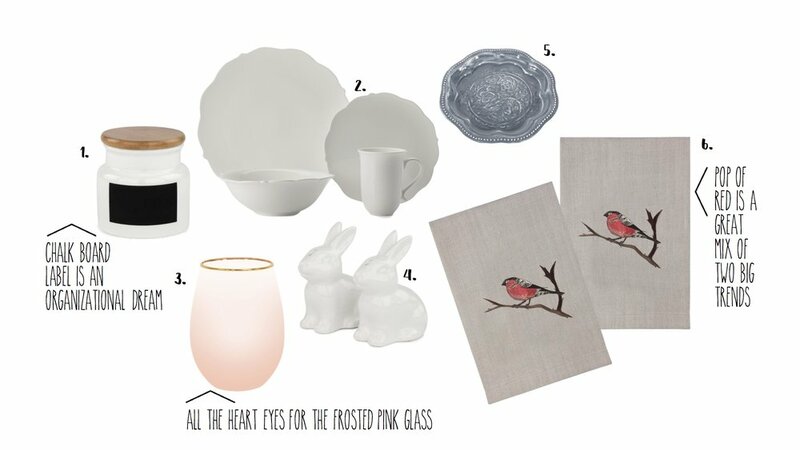 These combined with an ombre pink glass with a gold rim are a match made in design heaven. The soft blue and grey colour palette of this set make for a perfect combination for everyday use. Pairing this set on a white placemat will allow the set itself to be a bold statement and keep the eclectic look to the place setting subtle. 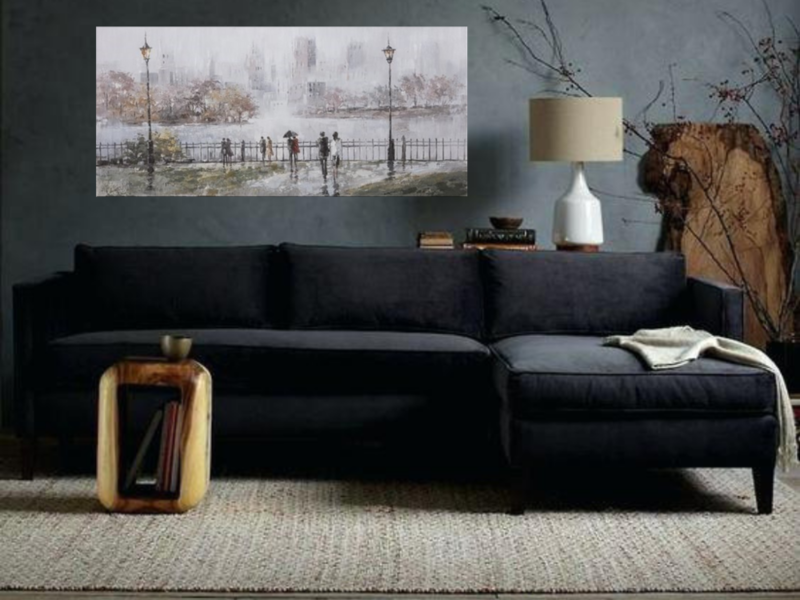 The grey wine and glass set are the perfect pair to this already watery and calm setting. These bird silhouette placemats allow for a casual and relaxed ambience to any table scape. This is very much an everyday place setting and could be used with a variety of different glasses and napkins to change the look easily. These linen napkins are a beautiful match and can be used over and over. This place setting is definitely an eclectic grouping of a variety of sets. Pairing together different textures, patterns and colours gives interest and makes the entire setting more casual and lived in. These glass plates and bowls are the perfect way to add interest without taking away from the other pieces. At Amanda's House of Elegance we are loving mixed metals as a trend that will definitely be sticking around. This place setting is the perfect way to ease into the trend in a classy and sophisticated way. These silver rimmed plates are stunning on their own but the gold rim on this bowl is the perfect contrast. The silver coral napkin ring is a great piece to add to any setting but we love how it contrasts well here. These gold chargers are stunning! The scalloped, almost floral looking edges are the perfect way to fancy up your dinner party. This is definitely a fancier setting, but it can easily be taken apart and set with a variety of placemats, napkins and accents. We love the refined elegance of this setting and we know your guests will feel like royalty. Head into Amanda's House of Elegance to take a peak at all the elements of these settings. Even better, everything in the store is currently tax free. Its the perfect excuse to pick up any of these stunning pieces. Every girl wishes to get flowers on Valentines day! Hopefully from a special someone but flowers from your parents wouldn't be horrible either. Either way, every bouquet of flowers needs a beautiful vase to complete the look. Here are our favourite vases to make your Valentine's Day picture perfect. These vases are pieces of home decor that can be used over and over. One of the best home interior tricks is to constantly have fresh flowers and plants around your house; and if you have flowers you need a vase! Head to downtown Kingston to pick up one of these beautiful designer home accents. Valentines Day is right around the corner!